Generally speaking, textures are visual patterns that replicate a particular real-life object or finish. As an example, there are lots of paper and wood textures in many different designs. Cement, leather or rock ones are also in demand. Textures usually are made up of patterns although they look like they are unique and accidental. The application of textures is not limited to making backgrounds, their characteristics can be included in any layout element. With the help of texture vectors, we can easily make an impression of some physical qualities, create depth, and make highlights. 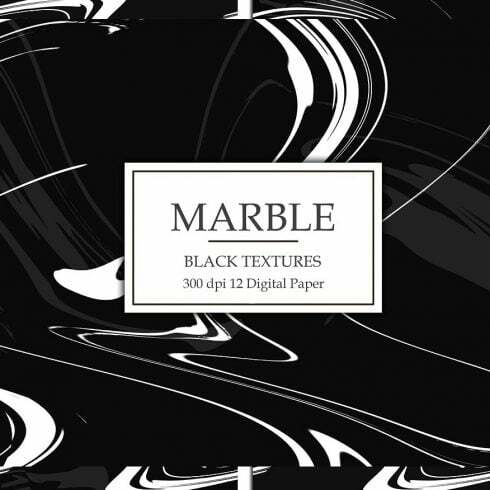 Black Marble Textures for background, scrapbooking, invites, card design or any graphic projects. How to unzip product files? Exactly what a pattern is? 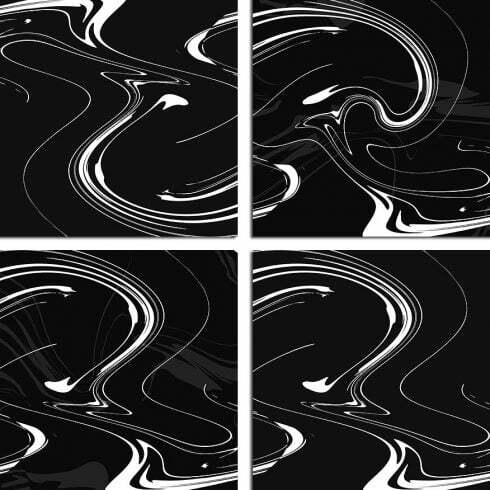 A pattern can be recognized as a background that contains recurrent pictures. Once we notice that a set of elements of design is repeated many times inside of one layout, we recognize this effect a pattern. Patterns are most liked for being lightweight and adjustable to various screen resolutions. It’s very easy to make unique fascinating backgrounds and emphasize individual elements with the help of patterns. Lots of web designers select patterns over HQ photos to create website backgrounds for the reason that they are very unique, attractive, and easy to implement. Pattern layouts help to come up with excellent and efficient designs. In most cases, we find textures and patterns in graphic design, together with website and product designs. You can employ these techniques to add value to any graphic task or art piece. Including an attractive pattern or a sophisticated texture can absolutely transform the overall look and feeling of any layout. The prices of these UI elements vary from 4 dollars to 50 dollars based on their complexity and originality. We offer the most diverse packs on Master Bundles. They differ in price, so everyone will find a product to suit their resources. How To Define Product Bundles? A pack is a group of graphics or other design items that are available together. The best thing about these item packs is their price tag. A set will cost a lot cheaper than each product if sold on their own. More often than not, a kit will feature what you need to complete a design task. These special deals are limited , so don’t miss your opportunity to purchase effective design solutions and get a better price. Why textures and patterns are important? What if the package deal doesn’t carry all the things I need? The Masterbundles website features a huge selection of various special deals. If perhaps it seems like a particular deal doesn’t offer the thing you need, take a look at the other ones! When you check out our gallery, you will surely come across something to satisfy your creative desires. The packages differ in design, difficulty, and price range, what’s the same is the premium quality of our graphics. Operate the site navigation to guide your way through our collection and have fun! Can I find any alternative bundles on MasterBundles.com? Apart from font bundle deals, MasterBundles features numerous other spectacular bundles. Have a look at graphic bundles, icons, textures and patterns, website template packages. There are as well electronic books and tutorials, stock images, logos, illustrations and add-ons, mockups, and various categories. You’ll find thematic Christmas and Valentine’s bundle deals, postcards and powerpoint presentations. And, of course, our favorite under $5 deals! MasterBundles is a huge marketplace, promoting packages of a variety of design solutions. Everything you might want to create a design job or a web page is marketed here and you could buy it for quite a cheaper price. MasterBundles has also got a blog, where you can get relevant information and facts and latest news. The lifetime of a design bundle is quite short, so to be in touch and never miss out on the package deal you want – subscribe for a newsletter and get notifications about all the updates.